When a writer gets the initial idea that their work is valuable enough to see the light of day and deserves public attention, that is when everything gets seriously tricky. Traditional publishing is a very attractive yet competitive method of releasing a book into the marketplace, especially since there are a limited number of manuscripts actually accepted annually by publishing houses. Most manuscripts that are submitted for review are tossed away into the black abyss of a cold file cabinet with no assurance that it will ever crawl to the surface again. Feeling sad yet? You should be. Though it is almost impossible to get anywhere by reserving your publication for a high-priced review and potential consideration by a snotty literary agent, it does not mean the end of all things written. Editor’s Note: Please be aware that as the publisher of this site I have intentionally chosen not to copy-edit or correct the author’s text to retain his unique young voice. As a successful self-published teen author/poet, Mr. Ozee has shared some of his own experiences from learning first-hand how to get his works seen and loved by many folks, and this article — and his other similar works on this site — reflect that informal prose. He has an honest desire to share with others what he has learned. Please excuse an occasional grammatical faux pas as he is a poet first, and the value to our readers is the information — this is not a how-to article on writing, but a sharing of a personal journey. Thanks, and enjoy. Self-publishing, the best alternative to traditional publishing, is the way to go, specifically because it is inexpensive, and in some cases, completely free and can easily be controlled by the author as the process begins to unfold. Now, self-publishing may be a fantasy to aspiring writers, but it can usually be confusing to those who have never had experience in taking that route to the top. I, Aaron Ozee, bestselling American poet, have done what it takes to learn the many extents of the self-publishing industry and the necessary information to fully understand how to exercise its true abilities. Starting to write at the early age of five, I have never ceased to compose imaginative, unique, spirited, and contemporary poetic art, and will continue to do so until those who have been terribly misguided by common misconceptions of publishing comprehend what they need to do in order to achieve success. Select a neglected literary genre or a neglected sub-category of a moderately or vastly circulated literary genre to compose your published works. It will not only increase your chances of establishing a name for yourself in that space, but it will be easier to compete with other authors publishing in that genre as well. In some cases, standing alone in a particular area of interest is the best method for achieving notoriety. Compose as many creative works as possible over a controlled duration of time to fix a progressive flow of quality books at a quantitative rate. The more pieces of literature you release in your selected literary genre the greater chance you will have at gaining a steady track record which will ultimately contribute to your credibility as an author. Find a print-on-demand publisher that refrains from charging a title listing and distribution fee, assigns an ISBN to the book your are publishing, and only retains profit by covering the costs of manufacturing a publication when individual copies of that publication are sold. Lulu Press Incorporated, one of the most prominent print book self-publishing companies in the world, would be the most appropriate choice when attempting to decide on a print-based self-publisher. In addition, Lulu holds an ongoing relationship with Ingram Book Company and Lightning Source, two major content distributors that release varieties of products such as books, movies, and music to leading retailers both nationally and internationally based. Even though CreateSpace is another viable choice for a print-based self-publisher and does offer different features on its publishing platform that Lulu does not, CreateSpace lacks opportunity when providing extended distribution and networking services to the authors that decide to publish through them. Ultimately, Lulu continues to expand alongside the changing aspects of self-publishing while makes it easier for them to defeat their competitors and to better serve the millions that support their mission. Establish a variety of social media profiles on networks that are both popular and avoided amongst users to create a moderate online presence that has potential to expand through continuous effort. Regardless if the social networks you choose to join are highly or solemnly visited, the more Internet portals of communication you access will only connect you better to interested readers, publishers, and content distributors. It would also be appropriate to create an official author website/blog to regularly broadcast the movements you make throughout your writing career and to more efficiently generate original material fine enough to be noticed by print and digital media sources. Carefully vetting each blot post is important too before publishing it (this obviously goes for any written creation that is being presented before the public), for even though the purpose of a blog is a bit more relaxed than typical broadcast feeds, it does not mean that you should skip the editing phase of the process. Bottom line, it is better to promote the fact that your publications have been released as print products before you decide to venture into the two other major content formats. Producing alternative versions of your print publications as eBooks and audiobooks will immediately begin to grow your market share of the literary genre in which your work is grounded. Find an eBook publisher, that just like Lulu Press Incorporated for example, refrains from charging a title listing and distribution fee and assigns an ISBN to the book your are publishing. Smashwords Incorporated, one of the most prominent eBook self-publishing companies in the world, would be the most appropriate choice when attempting to decide on a eBook-based self-publisher. Lulu Press Incorporated does allow you to convert your print books into eBooks, but unfortunately Lulu lacks a vast eBook distribution network like the one Smashwords has come to develop since its establishment. The way in which Smashwords retains a profit is by acquiring a percentage of the net royalties you will earn each time a digital copy of your book is sold in the Smashwords marketplace or through a third-party retailer they are actively partnered with. Lulu Press Incorporated, when distributing print books and eBooks through their premium distribution networks to third-party retailers, operates on the same percentage model as Smashwords. On another note, it is also beneficial to release your print book and eBook products as audiobooks as well, for there is nothing more satisfying to an author than hearing their own work be read out loud by another individual. Audiobooks generally impact readers that are auditory learners differently than readers that prefer to obtain knowledge by simply reading printed text, thus opening your publications to a unique market that is typically of higher quality craftsmanship and content delivery. The Audiobook Creation Exchange, one of the most prominent audiobook self-publishing companies in the world, would be the most appropriate choice when attempting to decide on a audiobook self-publisher. Like Lulu Press Incorporated and Smashwords Incorporated, the Audiobook Creation Exchange refrains from charging a title listing and distribution fee, but unfortunately does not assign an ISBN to the audiobook you are publishing. The main function of the Audiobook Creation Exchange is to pair authors with producers that are offering to narrate the publication the author wishes to release as an audiobook. Two options are available to authors and producers when agreeing to work together on an audiobook: (1) The author pays the producer a flat fee for narrating the title and retains a larger portion of the net royalties earned when a digital copy of the audiobook is sold (2) The author does not pay the producer anything and the narrator will recoup their investment of time in the audiobook by receiving half of the net royalties earned when a digital copy of the audiobook is sold. The better decision is to agree upon the second available option with a producer so that you avoid spending immense sums of money and still retain a fraction of the royalties whenever a digital copy of the audiobook is sold through one of the three third party retailers partnered with the Audiobook Creation Exchange. Expanding the reach of your publications into the three major content formats is key when attempting to promote your work before the consumer. 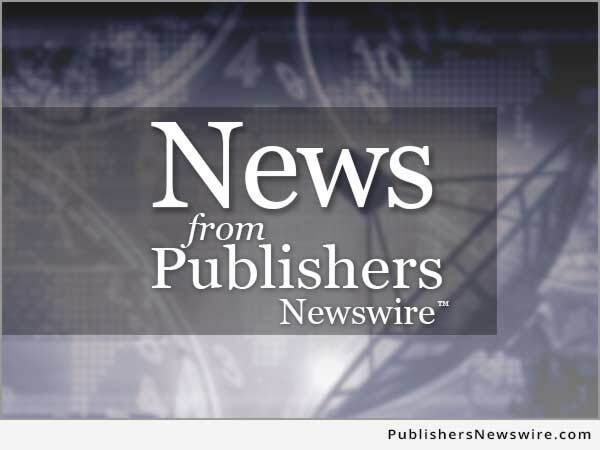 Visit mainstream national and international book exhibits that allow you to display and promote the presence of your publications in all three major content formats to both readers and industry professionals such as literary agents, publishers, and librarians. The Combined Book Exhibit, an internationally recognized book exposition company, is a great example of an event representative that has the ability to professionally network your books and your image as an author to thousands of curious attendees from all corners of the globe. Showcasing your publications with the Combined Book Exhibit is unfortunately not free, but is affordable for the services that it offers to its clients. If you are interested in pursuing multiple book exhibits and feel as if that it the best way to present your titles to the public, you are able to apply for an exclusive membership with the Combined Book Exhibit to receive discounted prices on every service they offer. Participating in book exhibits is a perfect way to grab the attention of traditional publishing houses and libraries that may be intrigued by your work and wish to learn more about you as the individual writer and what your expectations are for transitioning your books into an enhanced state of publication. Many readers like to sample the work of both traditionally and independently published authors before actually purchasing a hard copy of their work, but the support of a collection of acclaimed public and private libraries, it will be possible for your book sales to steadily increase without ever having to invest money in donated copies of your publication. Post the available translation rights for your publications in all three major content formats to PubMatch, an innovative rights management system that pairs authors with foreign publishers in hopes to license the right to translate the author’s books into different languages other than the one they have been originally written in. Rather than spending money to translate a publication into a foreign language and releasing it in a country where that language is most common, PubMatch will attempt to pave a path for the author to follow until they reach an interested foreign publisher on the other end waiting to seize a new opportunity. PubMatch allows the author to set the price of the translation rights tethered to their publication, how long each license for each content format will last, what form of exclusivity the publication will be covered under, and to determine what languages the publication had already been published in and what languages it is currently open to being translated. Not only will offering the foreign rights to a publication through PubMatch create the potential for another lucrative source of revenue, but it will allow the author of the publication to expand internationally in emerging markets. Be recognized as a bestselling author by selling enough copies of your publication to be listed on the bestseller list hosted by either the print book, eBook, or audiobook self-publisher that was the first to initially release your title in one of the three major content formats. The false assumption that in order for an author to be considered a bestseller, their book needs to be listed on Amazon, The NewYork Times, or Publishers Weekly as such is held by both traditionally and independently published authors. A bestseller list is still a bestseller list regardless of what source hosts it. It may not be known to authors that many self-publishers have bestseller lists and if the neglected literary genre or sub-category of a neglected literary genre in which their publication is classified by is specific enough, achieving bestseller status may easier than they originally perceived it to be. Once an author claims the bestseller title, it will remain with them for life and will be a recognition that they can use each time they publish a new title, which usually adds more credibility to the publication and will most likely generate very promising sales. The idea that entering the “big leagues” in the publishing industry is the only way to be successful as a traditionally or independently published author is a horrible misconception and usually leads to doubt among author trying to immortalize their image and their work. Maintain an unbiased state of mind when entertaining proposals for book endorsements and for composing title introductions from other authors that look to you as an honorable figure in the literary genre you have chosen to dedicate the majority of your published works. Any form of publicity is good publicity, and from a self-published author’s perspective, it would be logical to connect with as many writers that are either just starting out or already have a decent track record to increase the value of their professional connections to further their career in an array of optimistic directions. Structuring a stable network is important when sharing the presence of your writing with your readers and with others that hold the same set of goals you do for exactly the same cause, for not only will it contribute to your likability as a composer of fine words, but place a cushion beneath you just in case attempts are made by your competitors to diminish your credibility as an author and entrepreneur. Connecting with the local press and focusing the majority of your efforts on self-promotion is the last yet reoccurring phase of the process to becoming universally known in the self-publishing industry. Even though privately owned newspapers and bulletins either printed or digital are not the most desirable media outlets to affiliate yourself with, published is published, and that will certainly never change. You may only reach a small audience, but that single audience might be filled with the same readers you try to hard to understand and please. The issue is that authors think they need to be featured on television or in a vastly circulated magazine for people to notice them, but sadly they are wrong. You may start at the bottom of the chain in the beginning, but if you try to influence your way up the line you will eventually get to where you need to be in the eyes of the media. And lastly, self-promotion is the secret to publishing any book or collection of titles, for if the readers purchasing a copy of your publication only see the words and not the person behind them, there will never be a personal connection between them and your creation. The Internet is a mysterious yet productive environment that has limitless streams of possibilities attached to it, as an author, you need to really take the time to care for it in order to understand how to use it. Making these instructions available to aspiring writers is an honest duty that has been a great pleasure of mine to assume. Believing that these steps will work is a decision people will have to make, but the outcome of that choice may or may not be as fruitful as some or most might think. To prove that the path I have paved truly works, I would like to make a brief statement about my own achievements that may change the opinions of disbelievers. I published my first book when I was only fifteen years old and in the following four years published another eight, became a bestselling author at the age of seventeen, translated my works into six foreign languages, made my publications available for purchase in one hundred different countries and territories worldwide, and became the youngest bestselling American poet. Now, after reading the information I provided you about my life and career as an author and entrepreneur, do you think the experience I have shared is not worth a little faith? Ask yourself that next time you find the sudden urge to publish your first or next book and maybe, just maybe, you will discover the sincere truth that I uncovered within myself those many years ago when I first picked up a pen and began to write. Article is Copr. © 2015 by Aaron Ozee and originally published on PublishersNewswire.com (a publication of Neotrope®) — all commercial and reprint rights reserved. Reproduction or republication in whole or in part without express permission is prohibited except under fair use provisions of international copyright law.